Eff the Oscars. More than any other Hollywood director today, Fincher is a designer at heart. People flipped out when Christopher Nolan wasn’t nominated for an Oscar, but it was David Fincher — director of The Social Network — who really got robbed during Sunday night’s Academy Awards ceremony. Instead of rewarding the director of a diamond-flawless piece of innovative pop-cultural art, the Academy gave its imprimatur to the director of a well-mounted but utterly traditional costume drama. Fincher is a director-as-designer — and like any brilliant designer, he seems to attract the most attention for things that don’t work (remember The Curious Case of Benjamin Button?) rather than things that perfectly, seamlessly do. Let’s set the Academy straight. Calling a director a “designer” is almost a tautology: indeed, anyone making creative choices about what to leave in or leave out, in any medium, is designing. But Fincher’s coolly intelligent eye, laserlike attention to detail, and (in his best work) apparent fascination with storytelling as problem-solving, all set him apart from other filmmakers as a true designer-auteur. He makes films like Jony Ive makes iMacs: They just work — with style to burn. Fincher knows that “form ever follows function,” and even his first film, Alien³, displayed a discerning eye for “less is more” opportunities. In the opening credits, Fincher deftly sets up his story (and brutally disposes of Aliens‘s “happy ending”) with little more than a few sharply composed, surgically deployed single images. The Alien franchise was already well-known for impeccably designed credits sequences, but Fincher arguably tops his predecessors in terms of sheer skin-crawling, pitiless menace. But then, any Fincher film boasts top-shelf design for its opening credits. The title sequences of Se7en and Fight Club are a bit more David Carson-frenetic than Jony Ive-limpid, but Fincher’s omniscient eye for detail is still instantly recognizable. Se7en‘s nightmarish mood-setting (designed by Kyle Cooper) also contains layers of narrative clues about a serial killer who doesn’t reveal himself until the very end of the film; and the Fight Club opener, which Fincher helped design, was based on medical illustrations and includes visualizations of real neurophysical phenomena like action potentials. His background in visual effects also gives Fincher a formidable toolset for solving the narrative-design puzzles he takes on. This is a guy who, when faced with the constraint of casting a pair of hulking patrician twins in The Social Network, found one actor he thought was perfect and cloned him digitally — so seamlessly that if Armie Hammer hadn’t done press for the film, few people would have ever known he wasn’t really two people. Fincher’s brand of pixel-perfect “invisible” effects may seem like cheating to some, but it’s really just his way of achieving Kubrick-level creative control over his craft. Just watch this clip about the digital effects Fincher applied to his crime anti-procedural Zodiac and tell me this isn’t a master designer at work. Hollywood has made its peace with honoring geeky director-engineers like James Cameron, but somehow, director-designers like Fincher still don’t quite compute during awards season. 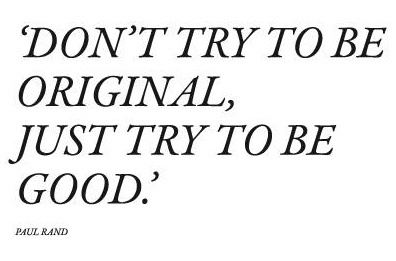 But maybe Fincher doesn’t care about winning Oscars; maybe at the end of the day, he just cares more about what legendary designer Paul Rand prized above all: just being good.